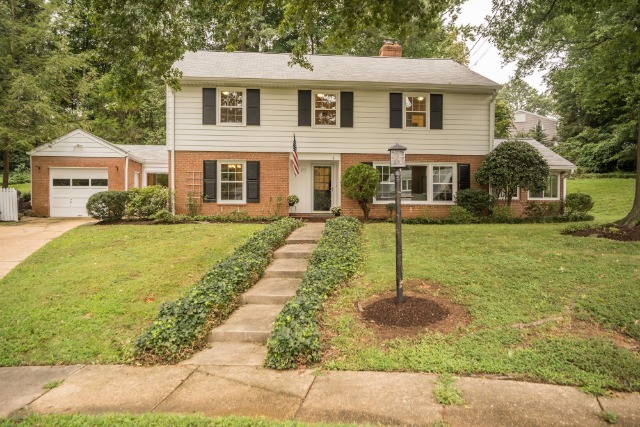 Welcome to 6422 Boulevard View in beautiful New Alexandria! 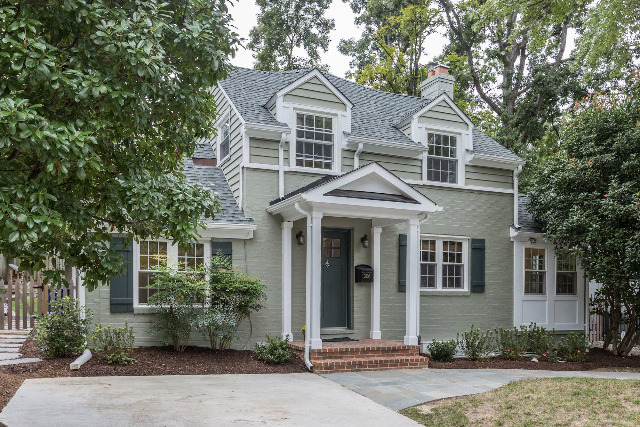 Gorgeous all brick Cape Cod inspired Colonial wows with truly stunning curb appeal. This most inviting residence showcases an expansive; beautifully and thoughtfully landscaped yard perfectly sited on over ½ acre of level land. Warmth and historic charm mingle with fine finishes and many handsome updates for an elegant and easy lifestyle. The main living level features a center hall, with a family room to the right and a formal yet cozy living room with custom built-ins to the left. Gleaming, random-width hardwoods lead you to an exquisitely remodeled eat-in kitchen with custom cabinetry, a large island and high-end appliances. This level boasts custom millwork, a main level master bedroom and an attractively updated full bath and access to the backyard and deck. A lovely screened-in porch, a wood burning fireplace with custom mantle accent the perfect flow and the open floor plan make this home an entertainer’s paradise. The bedroom level boasts hardwoods, three huge bedrooms and a large sparkling white hall bath. Recent renovations on this level include a custom walk-in master bedroom closet and fresh designer paint. Above the two-car, all brick, detached garage there are recently updated guest quarters with a full bath and a kitchen, perfect for a home office, overnight guests, au pair suite or in-law suite. This close-in location is literally steps from the George Washington Parkway Bike Path, Dyke’s Marsh and Belle Haven Marina, the 11Y commuter bus to Old Town and DC and the Belle View Shopping Center. Walk to restaurants, stores and enjoy a short bike ride or walk to Old Town Alexandria. 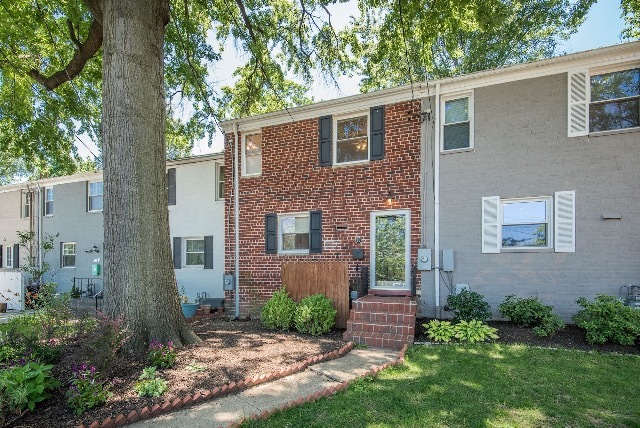 Easy access to the Beltway, Pentagon, Fort Belvoir and all commuting routes. Simply perfect! Welcome home! 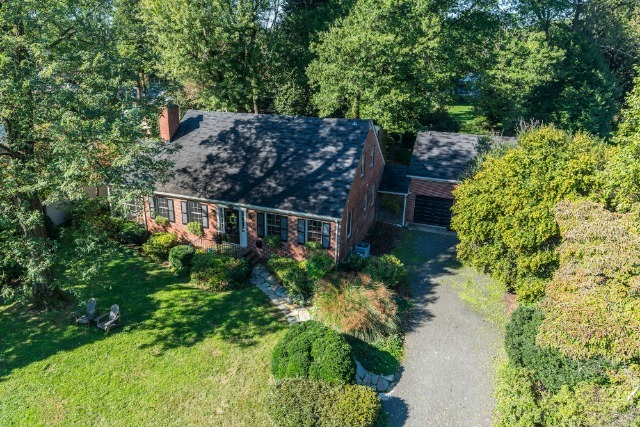 Beautiful Colonial residence tucked away in a quiet cul-de-sac steps from the George Washington Parkway Bike Path in Waynewood neighborhood. This rarely available Tulsa model provides the perfect flow and floor plan for entertaining and every day living. Graciously appointed with a wood-burning fireplace, updated and spacious eat-in kitchen, butler’s pantry, separate dining room, living room, and a sunny and inviting family room/sun-porch. Enjoy a detached garage, a potter’s shed and a large brick patio in a private and elevated back yard. As you enter this home via an ivy-lined walkway, you are welcomed by a covered brick stoop. There is an attractive double foyer with custom mill-work which flows beautifully to the kitchen, dining room, living room, and sun-porch/family room. A custom mantel surrounds the wood burning fireplace and there is a fun and multi-purpose Jack and Jill closet between the foyer and the kitchen. The detached garage provides easy access to the home via the side door and the butler’s pantry. There is ample storage in the large utility room and a convenient and updated ½ bath. Walk upstairs and find five amply-sized bedrooms, all boasting gleaming hardwoods. Relish an en-suite master bath and access to the landscaped and private back yard patio. The largest of these bedrooms can be used as an additional family room and has a Jack and Jill entrance to the master bathroom. There is a large hall bath on this level as well. Waynewood neighborhood is rich in tradition and offers a wonderful quality of life with the genuine feeling of an intimate community. Enjoy the George Washington Bike Path, the beautiful Potomac River, the highly sought after in-neighborhood Waynewood Elementary School, Fort Hunt Park and Mount Vernon Estate. Great commuting options to Fort Belvoir, Old Town, the District and the Pentagon. Welcome to 8103 Carlyle Place in beautiful Hollin Hall! This beautifully updated residence delivers one level living with style! Located on a quiet cul-de-sac, it delivers a perfect floor plan and flow really maximizing every square foot. Fine finishes abound in this sun-drenched home, featuring 3 bedrooms, 1 full updated bath, a family room addition and a coveted carport. Walk up the long driveway and lush green front lawn and enter this residence noting a wood burning fireplace with a custom mantel, designer lighting fixtures and gleaming hardwoods. The kitchen showcases gray cabinetry, granite countertops and stainless-steel appliances. The passthrough and openness from the kitchen to the family room connects both areas for perfect shared entertaining experiences. There is a separate mud/laundry room which is accessed from the family room and the carport, and an extra-large storage area. 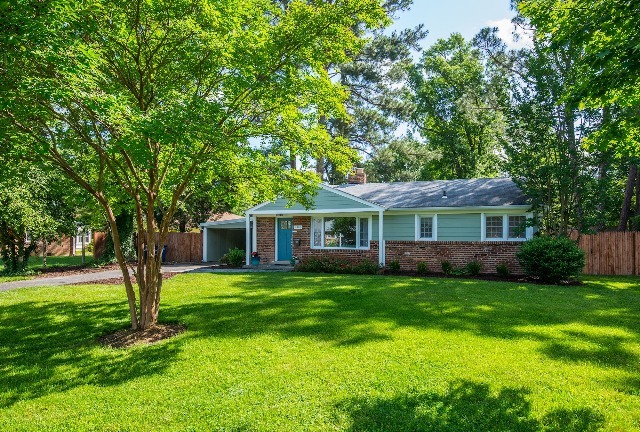 The family room looks out at the backyard with beautiful mature trees, newer fencing, a slate patio and provides privacy and endless entertaining options inside and out. Wonderful neighborhood with a nearby Swim Club and walkability to restaurants and shops. 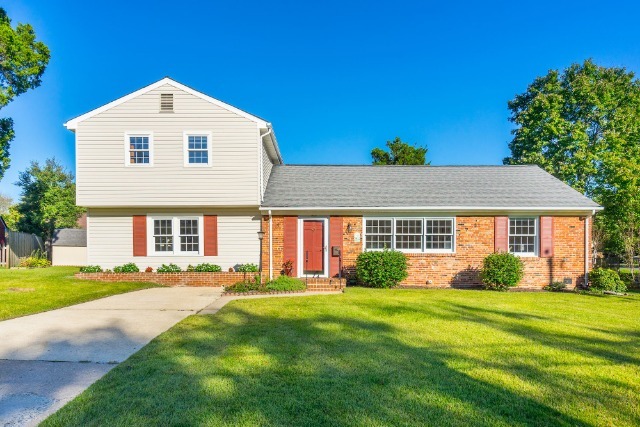 Close proximately to many wonderful commuting options via The George Washington Parkway and the Potomac River; Old Town, The District, Fort Belvoir and the Pentagon.